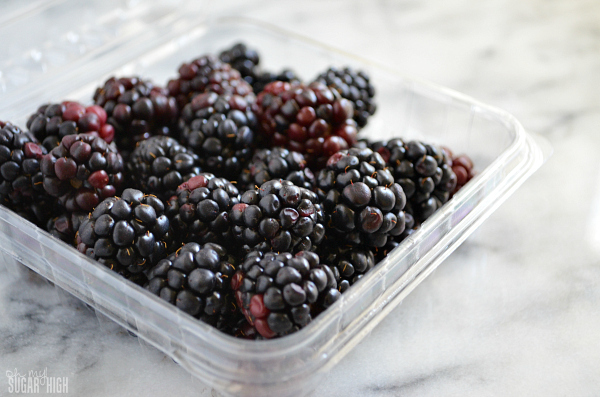 While shopping last weekend, I came across blackberries at an awesome price. I couldn’t resist picking some up, even though I had nothing specific in mind for them. Normally I would have decided on some sort of scone or muffin to make with them, but I opted to make something healthier and refreshing to enjoy in the warmer spring weather. 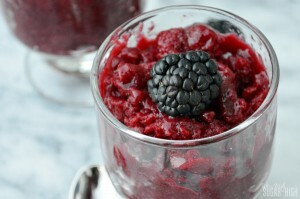 Granita is a great dessert option for anyone looking for something with a whole lot of flavorful fruit. 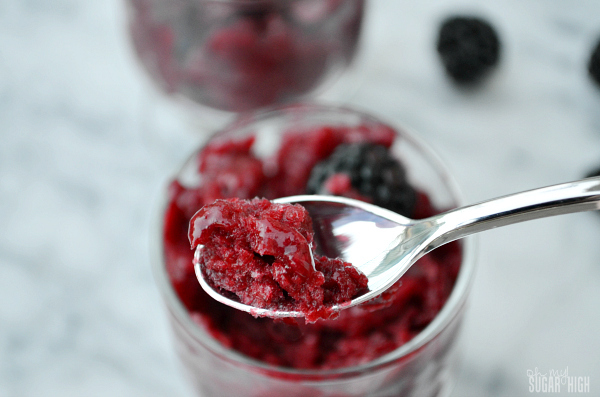 This blackberry granita is perfect for a light dessert or as way to cleanse the palate between courses. I don’t typically have the kind of dinner parties where this is required, but I have enjoyed many sorbets during multiple course meals at restaurants. This would work well and impress guests if you want to go that route. If using this as a dessert, this is enough for two full servings in a 6 or 7 oz. dish. If you are using this to neutralize those taste buds between courses, there is enough for 4 to 6 servings. A little goes a long way. Puree honey water and remaining ingredients in blender until smooth. Pour into fine mesh strainer into shallow dish to remove seeds. Cover and freeze for at least 3 hours. Scrape with fork and return to freezer until ready to serve. 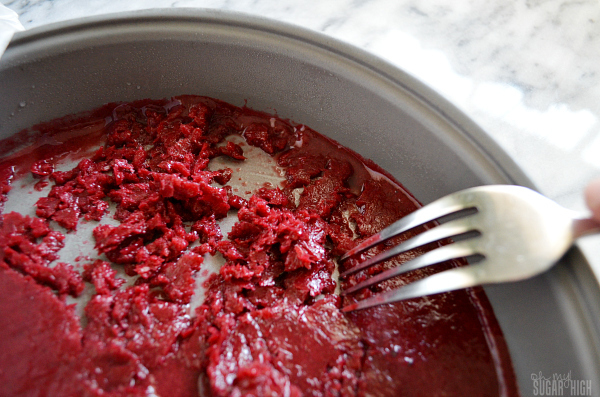 I like to gently stir with a spoon to push puree through strainer. I only have a small mesh strainer because it is easier to store so it takes a bit longer, but it is is worth it! If you don’t have one, I highly recommend them. I use it for everything from sprinkling powdered sugar on cakes to brewing loose leaf tea. I used a 9 inch cake plate, but any shallow dish will do. This granita will start to melt fast, especially on a hot day so be sure to serve it right away. 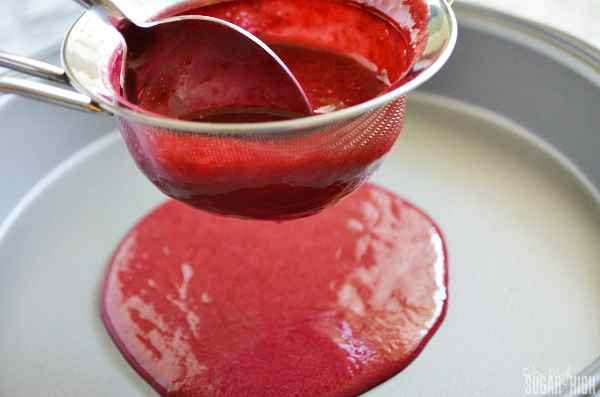 This recipe will work well with other berries so try experimenting! 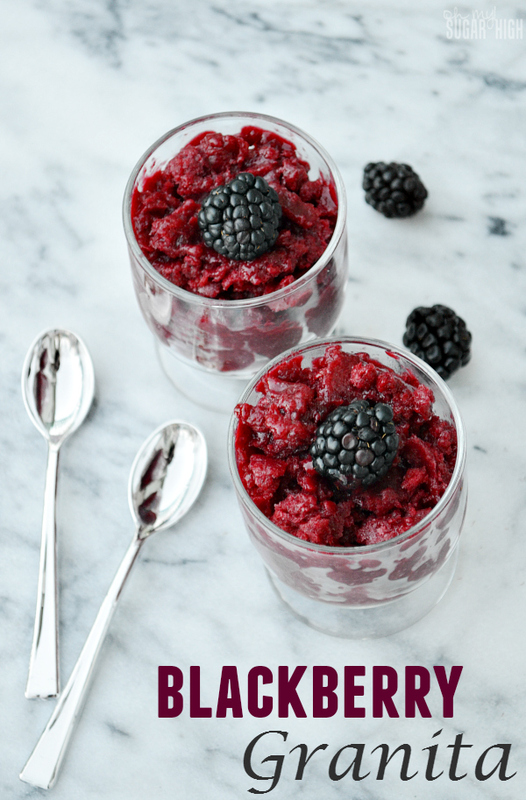 However you serve it, this blackberry granita definitely makes for a beautiful presentation! And at only 97 calories, 1/2 gram of fat and 1 gram of protein, it is a healthier dessert option. Keep in mind it does have 20 grams of sugar however. Because it packs quite the flavorful punch, one serving is satisfying. This looks amazing! And so easy. Definitely going to give this one a shot, seeing as fresh berries are starting to show up at the Farmer’s Market. My favorite time of year for sure! This looks delicious! 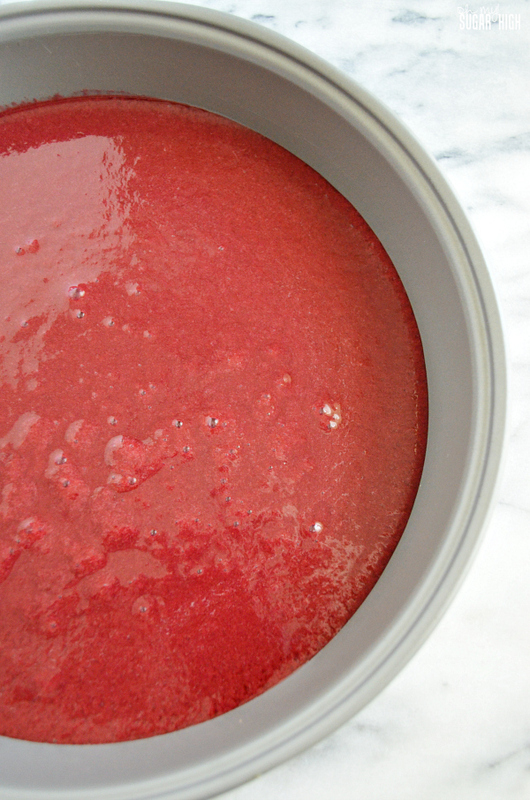 I’ve never made a Granita before but this looks pretty easy (and perfect for summer). I cannot wait to try it. Thanks for sharing! This is an awesome way to make for the summer. I can’t wait to try it. Thank you for linking this post up at #HomeMattersParty this week. Looking forward to seeing what you link up next week.